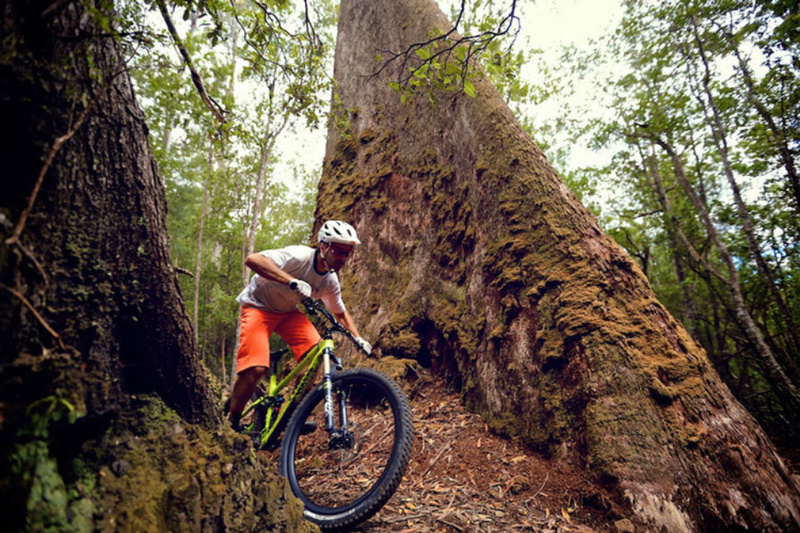 Tasmania – the supremely fortunate locale of the Blue Derby Mountain Bike Trails network, which offer a selection of the best single track mountain bike riding in the world. Mountain bikers choosing Tasmania are the beneficiaries of the many years of hard work committed by a strong group of dedicated mountain bike enthusiasts. These individuals shared a common belief: that this island state was ideally situated to become a mountain bike destination of world acclaim. 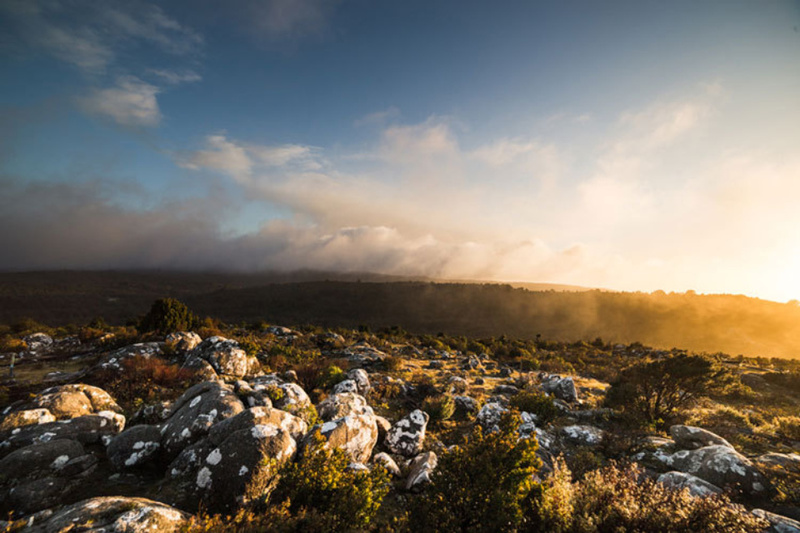 Blue Derby is located in Tasmania’s North East, where nature has dealt a stroke of luck in providing a range of basalt and granite soils with fabulous aptitude for mountain biking. You won’t have to take our word for it though. 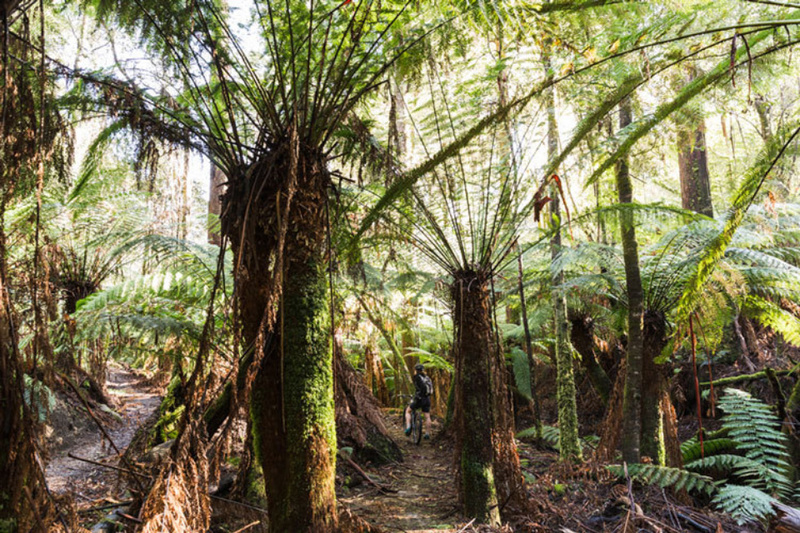 “This is really special what north-east Tasmania has… there’s nothing like it in the world and we’ve seen a lot of trails,” says Glen Jacobs of World Trail. “It’s like draw by dots, you go out and find all these special places and then weave the trail to them,” Jacobs states for ABC news. ‘Blue Derby’ is derived from the union of the sub-alpine plateau named the Blue Tier and the township of Derby. The Blue Derby Mountain Bike Trails network includes trails from both these areas and many trails in between. These mountain bike trails have benefitted from local, state and federal government funding to the tune of $3.1 million (and rising). It is in fact, the largest single mountain bike project ever undertaken in Australia. Lucky Tasmania! Another exhibition on the world stage for Derby, Tasmania, Australia. One of the world’s pre-eminent mountain biking events, the Enduro World Series (EWS), will be held in April 2017. This is the first time the event has been held in Australia, claiming place among the 2017 destinations of Portugal, Italy, New Zealand, Ireland, Canada, USA and France. 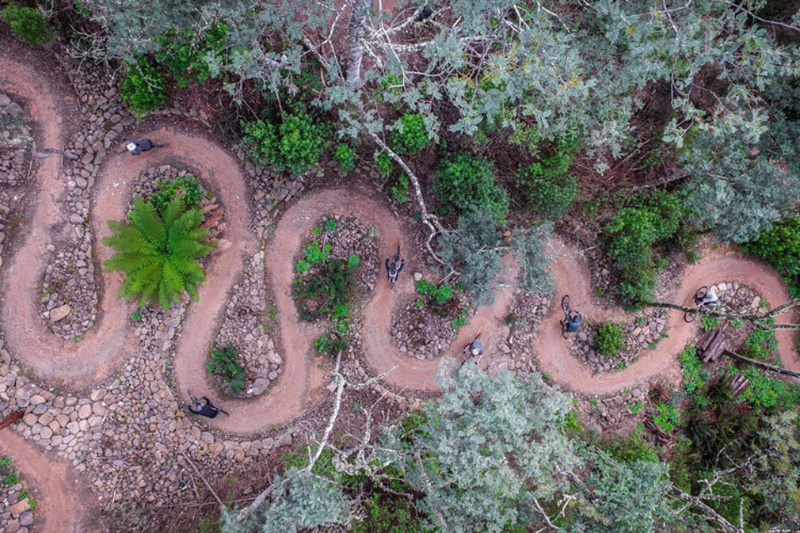 As if Tasmania wasn’t already lucky enough, World Trail have crafted a series of completely new trails for the EWS, which will add to the already impressive variety of trails on offer. Finally, where is Australia’s premier mountain bike network heading? Well, Derby has busily been establishing itself as Australia’s first mountain biking town of late. In less than two years, it has twice attracted the Australian National Cross Country Marathon Mountain Biking Championship, attracted critical acclaim from some of the world’s most notable riders such as Hans Rey, Troy Brosnan, Tyler McCaul and Scot Nicol to name a few, and will host Australia’s first ever Enduro World Series event. So why has the transformation of Blue Derby been such a success? Flow MTB says of the trail network, ‘It has the winning formula: amazing trails, incredible scenery, and just the right amount of remoteness…’ No one knows the exact extent of what’s in store for Derby, but one thing is for sure – it’ll be both big and exciting.